Today’s ‘Fourth Industrial Revolution’ is an era of digital disruption, with added political, economic, social, regulatory and environmental uncertainty. Every sector and all business functions are being affected by digitalisation, uncertainty and the constant need to ‘transform’, one way or another. In this context, transformation efforts require organisational and leadership agility. Agility is the underlying adaptive capacity of the organisation and its leadership. We use the term ‘agile’ in a loose sense, as a broad way of thinking about organisations, rather than in a very narrow, or strict one-sizefits- all way. How will Organisation Architecture Services help you? We are finding that the challenge for today’s leaders is that while the rate of change in technology is exponential, the rate of change within their own organisations is much slower and subject to several types of ‘resistance’. Major strategic shifts, functional change programmes, corporate restructuring programmes, or technology transformations, invariably meet the challenges of human complexity and scale. Our organisation design and development offering, which we refer to as Organisation Architecture, seeks to develop agility, while supporting strategy execution, business transformation and technology adoption. Service Offerings at B2E Consulting are supported by our community of over 20,000 high calibre, expert consultants, many with Organisational Architecture experience. Dr Kiran Chitta, has over twenty years of experience helping leaders with complex human challenges. Based in London, Kiran supports clients internationally. He has also lived and worked extensively in the Middle East and Asia Pacific regions. He is faculty at several leading research and training institutes. 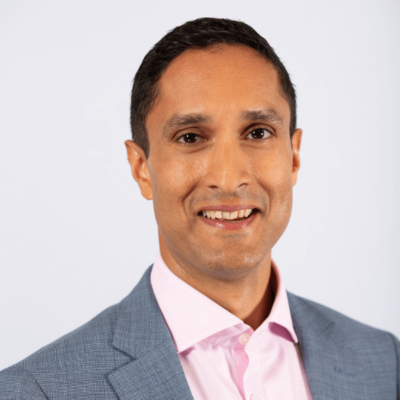 After starting his career at Procter & Gamble, Kiran has held several senior positions in people and organisation development, including consulting roles at Deloitte, Accenture and Oliver Wyman. Kiran has been a member of the UK Senior Civil Service, building capabilities which have supported UK civil service reform. Kiran has a degree from Oxford University in experimental psychology, master’s degree from the Manchester Institute of Science and Technology in organisational psychology and a doctorate from the Metanoia Institute, a leading psychotherapeutic research and training institute. He is a Chartered Psychologist, Associate Fellow of the British Psychological Society, and the author of two books.